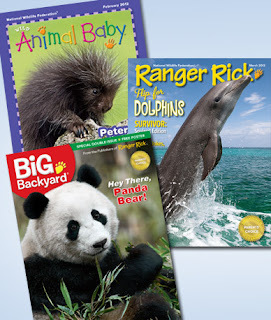 $9 or $10 for 1-year Subscription to Ranger Rick, Big Backyard, or Wild Animal Baby! Right now at Mamasource you can get a 1-year subscription to Ranger Rick, Big Backyard, or Wild Animal Baby for as low as $9! The subscriptions are on sale for $10, but if this is your first Mamasource purchase, use the code mar10 at checkout to save $1. The magazine will automatically be sent to the address used during checkout.